Charles was born in Griffin, GA in 1951. He and his eight siblings were raised by his mother. After graduated, he attended Fort Valley State University and entered the US Navy shortly after graduating. He was honorably discharged and after returning home attended the Art Institute of Atlanta to earn a master’s degree in Video Production while also working in customer service with Eastern Airlines and Delta. One morning while he was at First Presbyterian Church eating breakfast he was referred to Homes of Light. They helped him with getting on his feet again. He credits his education and resourcefulness to helping him in his journey to self sufficiency. 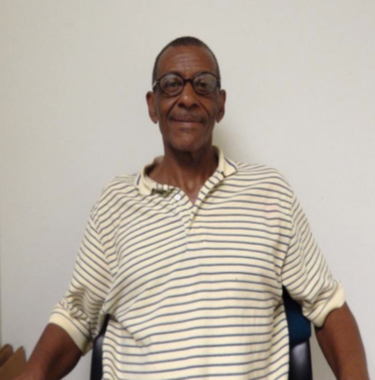 Now Charles feel he is a happier person, he is looking forward to getting his own place and hopes to give back by helping other Veterans experiencing homelessness.